Showing results for tags 'gentlemonkey'. This year's Ottawa Jazz-fest has successfully rolled itself, temporarily, across Laurier to Festival Plaza, while Confederation Park attends to some boggy drainage issues- a mechanical enema you could say, but probably wouldn't. This environmental investment requires that, for just a year, we trade the cool grass and familiar shady haunts of the park for the exposed concrete digs at City Hall. So be it, we can handle some slight discomfort for the sake of our future environment, right? Although the trademark Festival main stage has been transplanted, some familiar vendors and the free OLG stage remain static along the West end of Confederation. In expanse, the festival footprint now also includes the Tartan 'After-Dark' tent at Lisgar field- so there is a bit of hustling and jockeying required if you want to catch all the action. The scene is quite reminiscent of our early millennial Bluesfest, especially in baby-boomer representation- whose sprawling lawn chairs, festive blankets and healthy prepared snacks occupy 90% of pitch real estate. One glaring difference with the site's previous tenant is the overbearing inclusion of the now inevitable tiered experiences which permeate the festival, with various exclusive tents and fences. This trend unfortunately leaves the 'Average music lover who didn't bring a chair and doesn't mind being with other people' section quite a small slice of the sectional jazz-pie. 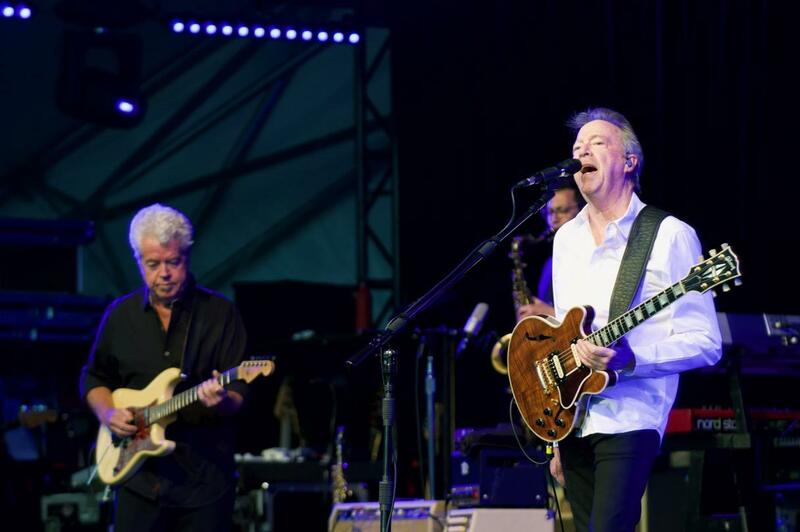 Nevertheless, the vibe is really quite nice, and subdued, especially on a beautiful night like Friday's where Boz Scaggs and his band entertained a solid turnout with some (very) mature musicianship and several tasty musical treats. Highlights predictably included 'Lowdown' (buoyed by the incredible lady-like falsetto of his hulking keyboardist), 'Jojo' and the smooth party anthem 'Lido Shuffle' which was unfortunately drowned out by an aggressive chorus of drunken elder-bros howling like forlorn manatees. Boz hogged the spotlight in his glowing white shirt and face, dropping a few surprises on the crowd, most notably a cover of Chuck Berry's "You Never Can Tell" which had all the squares twisting like Vincent Vega at Jack Rabbit Slim's, minus the junk and milkshakes. After some whisper quiet blues and a tasty ripping solo from Boz, whose guitar was close to inaudible otherwise during the set, many of us made our way over to the After Dark tent, for Moon Hooch. We tucked in like Trinity Taylor, and felt the tent filling up with an enthusiasm to which, I'm sure, this trio is surely accustomed. The Brooklyn group, comprised of a drummer who clearly loves to rock, flanked by two dialed-in, horny AF sax players, serving a high energy electro-jazz which flirted with house and dub step, while remaining connected to jazz sensibilities and dynamics. Extreme shifts in groove, feel and tempo, kept listeners on their toes and got the crowd moving, and yes, grooving. Looking forward to the week of shows ahead!